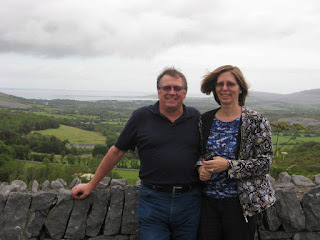 On the Corkscrew Hill in the Burren in County Clare today, with Galway Bay in the background. This is where it all happens. 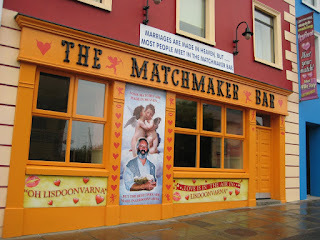 If you want a wife, or a husband, come to Lisdoonvarna in September of the year.The matchmakers will do the rest. This happy couple make a really good match. 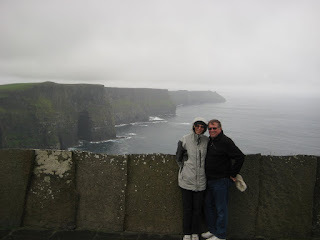 At long last......rain in Ireland today at the Cliffs of Moher.Never thought i would see the day. This is Dave and Deb today, cooling off at the Cliffs of Moher. Well today it did rain, but it did not spoil the party. We spent the early part of the day in the Burren, and at the Cliffs, before making our way across the Shannon on the ferry on our way to Killarney.The rest of the afternoon was spent at Muckross House in the National Forest Park. 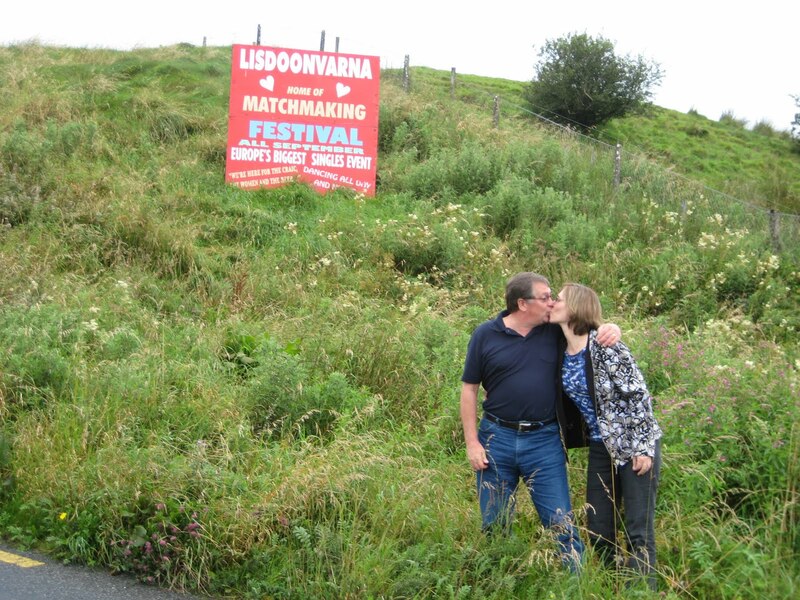 Tomorrow, weather permitting, the Gap of Dunloe will be the main event. 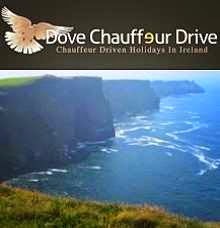 If not, then we will be touring the Dingle peninsula. What a lovely choice to have.